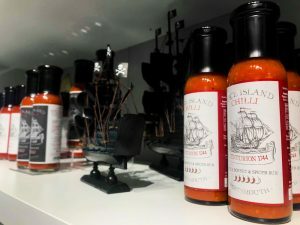 Our shop offers a wide range of souvenirs and gifts, as well as a choice of locally sourced products from Southsea Bathing Hut, Spice Island Chilli, Alison Gardner, Gianpaolo Mario Photography, The Garlic Farm, Bay Tree Gallery, A Travelling Nation and Chris Brunnen. Children will enjoy our range of Papo products and those looking for a memento of their time by the sea will love our selection of Nauticalia products. A wide selection of Emirates Spinnaker Tower items are also available at a range of prices. Gift tickets are available for many of our experiences.